Ruth's Chris - Knoxville, Tennessee | Just Shooting Memories! On one of my recent photo trips through downtown Knoxville, I ran across this Ruth’s Chris Steakhouse. 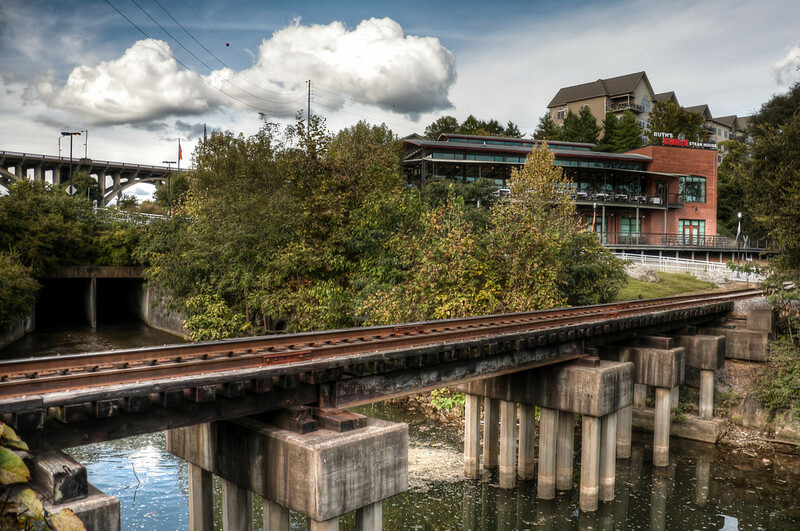 It is situated along the Knoxville and Holsten River Railroad tracks. I wanted to get a few other compositions of the restaurant, but did not want to go walking along the tracks. It had a no trespassing sign.